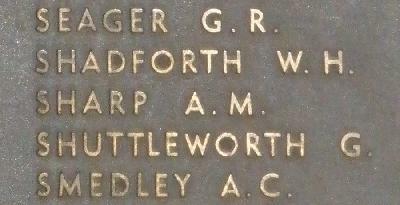 War Grave Register notes: SHARP, Tpr. Andrew Mitchell, 957. 9th Australian Light Horse. 5th Aug., 1916. Age 28. Son of Mrs. Ada Sharp. Native of Kadina, South Australia.